At nativespace we specialise in providing shared and cloud servers powered by our enterprise-grade cloud infrastructure. Our secure, scalable, redundant platform is based on class-leading storage technology and market leading software and control panels. 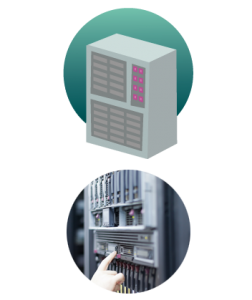 Our network utilises selected Tier 4 datacentres, and is up to 30% faster than our nearest competitor, and over 3 times faster than the average. We partner directly with Dell to provide the latest hardware for our new platform. Our servers use lightning fast Dell Enterprise Blade Servers with Dual Intel Xeon Quad Core CPUs, 24Gb RAM, CloudLinux and all data is stored in high end RAID 10 arrays for speed, reliability and redundancy. We partner with the most energy efficient datacentre in the UK – and environmentally friendly hosting is standard with all our offerings since 2006. Choosing nativespace for your hosting solution means you will significantly reduce your company’s carbon consumption.